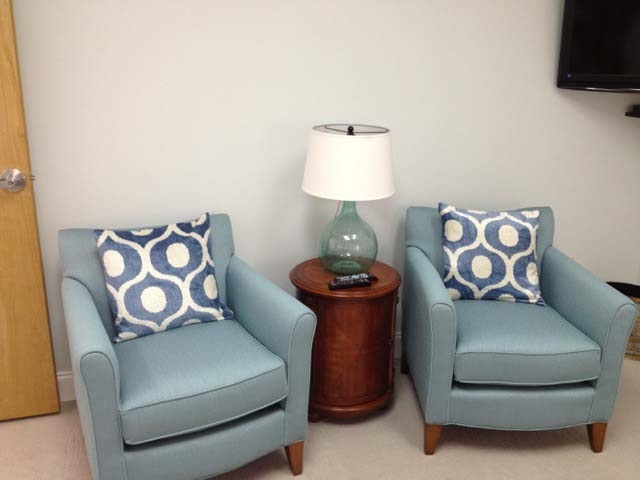 Buying Affordable, Quality Furniture for Your Facility: Part 1. What Do You Need to Know Before Buying Quality, Durable Furniture for Your Facility? Durability - Upholstered items are typically the most expensive individual pieces you will seek and will also be the first to show signs of wear. Upholstery fabric is typically guaranteed for 1 year for manufacturing defects. Wear or fabric damage is not covered under warranty so selecting the upholstery appropriate for the type of use it will get is important. For upholstered furniture construction, ask if the frame of the piece is kiln-dried hardwood. Frames made of green wood can warp and cause wobbly legs or arms. Case goods constructed of solid wood will hold up better than composite materials. Laminate tops offer a worry-free surface that won’t show water or ink. Wood tops, on the other hand, can be refinished over time for a like-new look regardless of wear. Many products appear to be solid wood to the inexperienced eye, but may be constructed of wood composite products like chip core, particle board, plywood, or oriented strand board. Furniture constructed with these materials will typically use a thin printed vinyl veneer over the surface to provide the appearance of solid wood. While prices are lower, furniture constructed using chip core, particle board, and oriented strand board will be difficult to repair on-site once damage has occurred. Industry experts like contract furniture providers can make the right recommendations. For 20+ years, Furniture Concepts has remained committed to providing furniture Solutions for any type of group living environment. We sell only Business to Business in U.S.A. and Canada. Furniture Concepts is known for: Durability. Pricing. Deadlines. Customer Service... Learn More about us! © 2017 - Furniture Concepts LLC. All Rights Reserved.